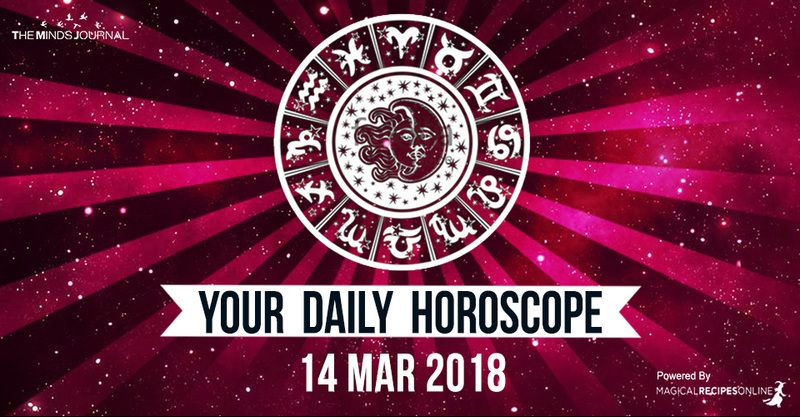 General Daily Predictions: Today the Moon from Aquarius squares the Retrograde Jupiter in Scorpio. So, this is going to be a somewhat stressful day. Keep in mind though, that some, if not most, of the problems and obstacles that occur, hide the blessings they bring with them. Or, in some cases, they are challenges which, if we overcome, they will turn into blessings. Capricorn, Aries, and probably Cancer and Libra will be the luckiest zodiacs of the day. Aquarius, Scorpio, and probably Leo and Taurus will be the most stressed ones. All sort of interactions with other people can teach you things. I guess this is true for any time, but even more so, today. Today these lessons tend to be a little unpleasant, but when they are good, they are really satisfying. Your place in your world, if it is exactly how you want it to be, will bring you much joy today. But, if not, the difference between the desired and the actual situation can bring you some stress. It can also bring you the power and motivation to make a change. Focus on that. Health issues can feel like they are getting worse today. Of course, whenever needed, ask for the advice of a health care professional. Nonetheless, the way you are thinking about yourself, your life and your health also affect your well-being. Heal and correct the thoughts that don’t support you, and the improvement can become much more permanent. Your intimate relationships, being them friendships, romantic relationships, or carnal ones, can stress you today, one way or another. Problems in those relationships and on how you handle them can become more intense and clear. Realise them and correct them. Your spouse, your family and the most important people of your life can stress you, somewhat. Problems in their lives can bring forth the manifestation of this influence. Nonetheless, whatever the case, the situations can reveal problems in your relationship with them. If you can see these, think how you can heal them. If you can’t just be more patient. If you have some health issues or sensitivities, especially of the circulatory system, the liver, the thighs, the brain, or the eyes, they may act up a little. Take proper care of those. Also, work and your relationships with your co-workers and clients can give you some stress. For that, find out what you can do to heal those relationships, or at least to make them more joyful and productive.